Soloist ballerina Emilia Jovanovic gives a passionate and committed performance in the role of Lady Macbeth and the dancers of the BCBU as the Witches fill the stage with energy and irony. 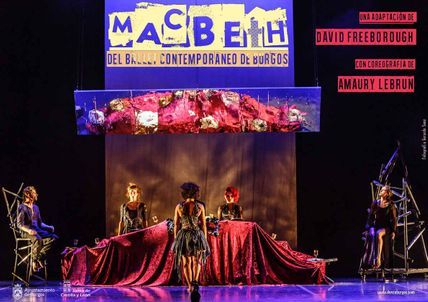 Adapted by David Freeborough and choreographed by award-winning Amaury Lebrun, this innovative production re-expresses Shakespeare's dark tale of ambition, witchcraft, and murder through the medium of contemporary dance. 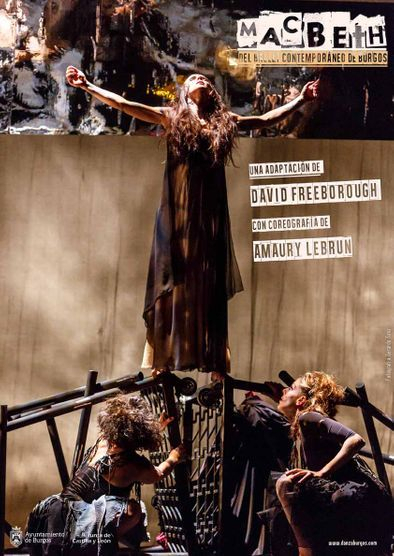 Lebrun's original and subtle choreography and superb choice of music together with an unerring focus of the key dramatic moments of the play make this new production from the Ballet Contemporáneo de Burgos exciting and entertaining, while at the same time moving and thought-provoking. The adaptation for dance introduces an invented character called the Shadow who manages the stage and voices the thoughts of others, with evil intention.